Before choosing to work together, I offer a free initial 20-minute phone consultation. 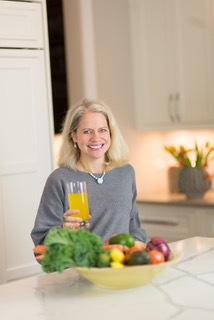 This initial call is intended for you to share your primary health concerns and to learn more about my approach to wellness and what you can expect from working with me. During this 1-hour consultation, we will review your health history (which you will have completed and sent to me prior to our first meeting), discuss your current dietary patterns, address your primary concerns, and answer any questions you may have. After your consultation, you will receive a treatment plan which includes your individualized lifestyle recommendations. Follow-up meetings are not mandatory; however, it will be most beneficial to check-in and provide feedback after about 3 weeks of following your plan to determine if any further tweaks or additional recommendations need to be added to your treatment plan. If you would like to continue with your wellness program after the in-depth consultation, you may sign up for the Diving Deep series. After completing the in-depth consultation, you may want to dive deeper into your wellness needs and goals. This comprehensive package includes 5 bi-weekly sessions (including the in-depth consultation above) over a 3-month period. Your sessions will be specifically customized to your wellness needs and interests. After each session, you will receive an email summary of what we covered and links to articles, recipes, and other wellness information. You will have unlimited email support during this program. Sessions may be conducted in my office, via Skype, FaceTime, or over the phone for maximum convenience. These check-in sessions are conducted via Skype, FaceTime, or over the phone. During these mini-sessions, we will assess your progress, work to sustain motivation, and address additional goals that have arisen during the program.